Still going strong after 11 years ... Is this good news for Homebush and NSW? 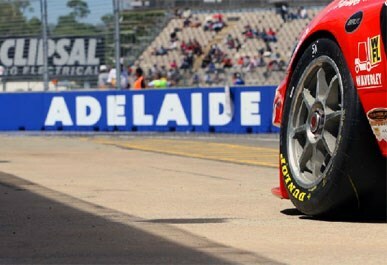 Though spectator attendances and visitors were down on the previous year, the 2009 Clipsal 500 Adelaide V8 Supercar event has provided the South Australian economy with a handy estimated $33 million kick. SA Treasurer Kevin Foley said interstate and overseas visitor numbers coming to Adelaide specifically for the 2009 event totalled 13,600 compared to 14,559 for the 2008 race. But he described it as a magnificent achievement, particularly given the impact of the current global financial situation. The visitors appeared to spend more this year. "While attendance numbers were predictably slightly lower this year the economic benefit grew to a conservative figure of $33.5m from $31.32m in 2008," said Mr Foley. The number of full-time job equivalents (whatever that means!) created as a result of the 2009 event was 420 - up from 409 in 2008 - with some of the increase as a result of work related to the new temporary pit building structure and shaded grandstands. The 2009 event which ran from March 19 -22 was attended by a claimed 272,800 motor racing fans over the four days. It recorded an operating deficit of $693,000. But the Treasurer pointed out that this is a tremendous result in the context of some of the other major events, including Melbourne's Formula One Grand Prix, being held during this time.